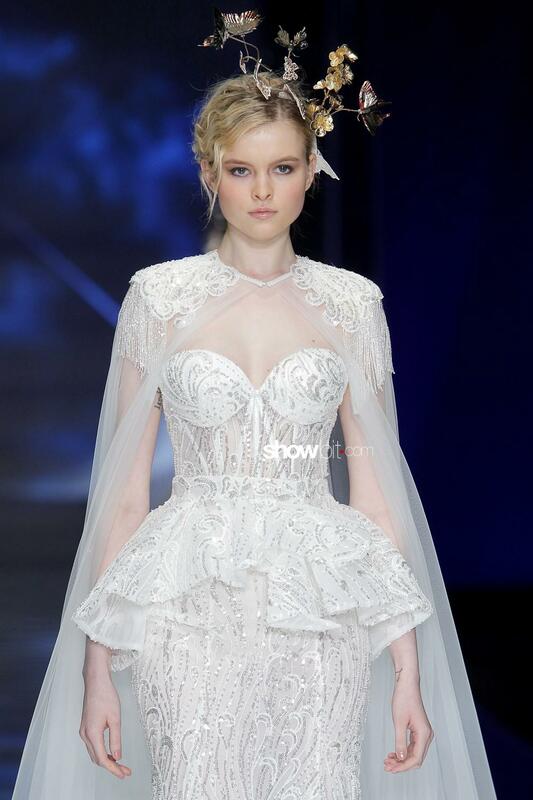 A master in blending high quality, tailoring knowledge and design in unique wedding gowns: Emiliano Bengasi is surely one of the biggest proponents of the Made-in-Italy Bridal Couture craftsmanship. 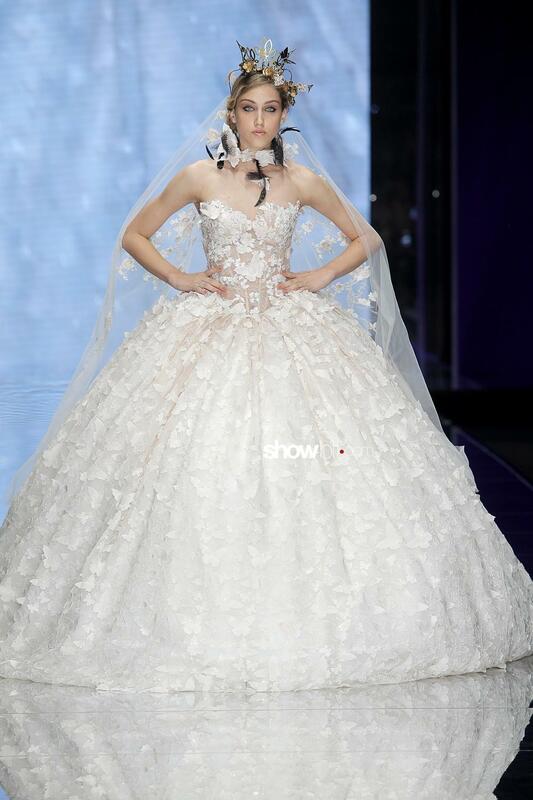 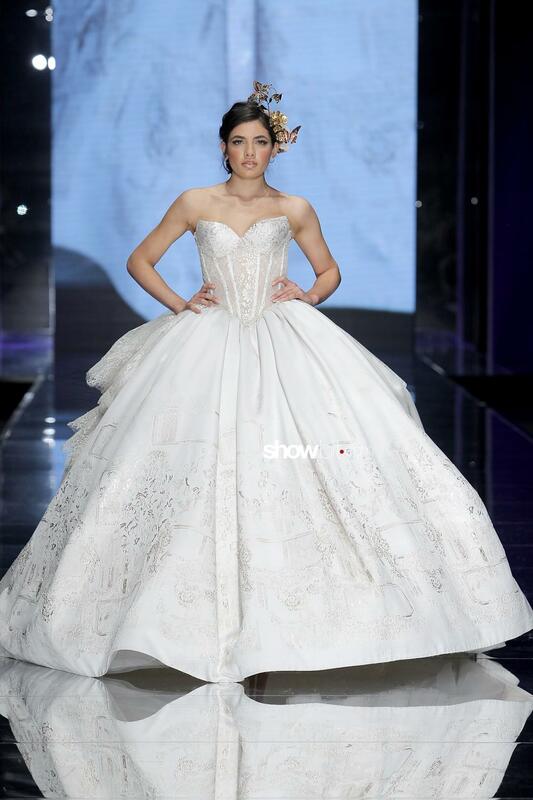 In occasion of the Bridal Fashion Week in Milan (5th-8th april 2019) for Sì Sposaitalia, fairy tale gowns are revisited in his collection, acquiring a contemporary twist. 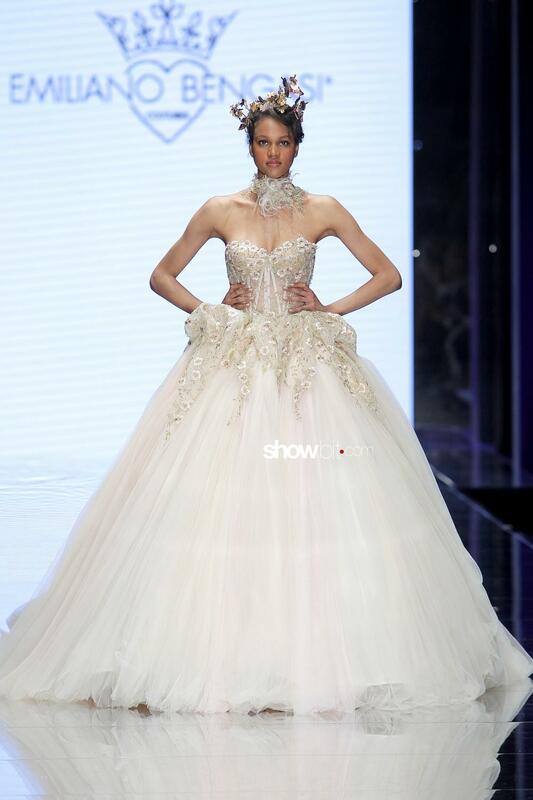 Countless layers of tulle originate frothy volumes and exaggerated bell-silhouettes; structured bustiers are divided into slices and sticks and embellished with a hail of crystals and floral appliqués. 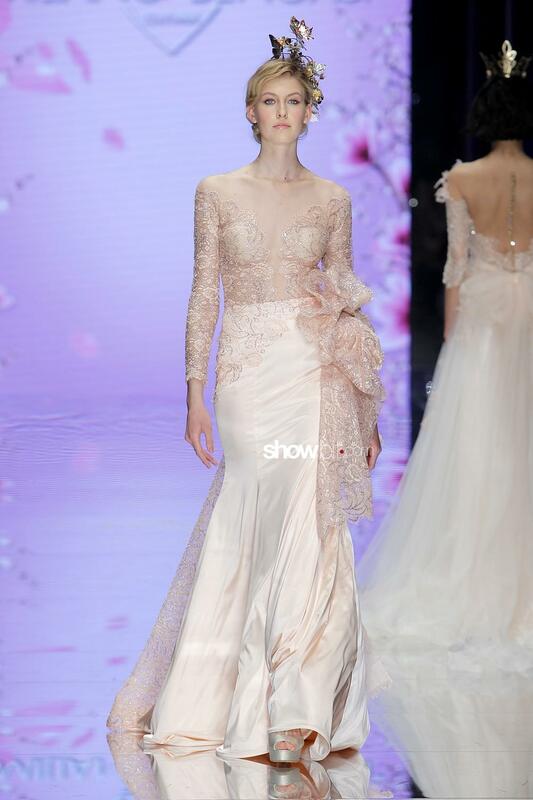 Delicate chromatisms as white, gold, pink pearl and ice are declined into branches of lace that indefinitely blends with the skin colour: as if the off-the-shoulder volumes were an extention of the bride’s body, they vaguely call to mind the mith of Daphne morphing into a laurel oak plant. 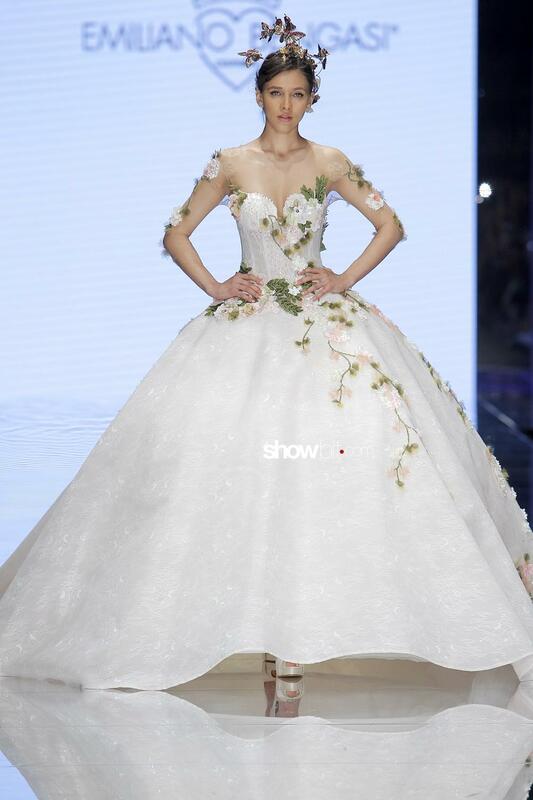 Three-dimensional flowers are also applyed on the bodice and shoulders of the woman, conveying the idea of a romantic and genuine beauty. 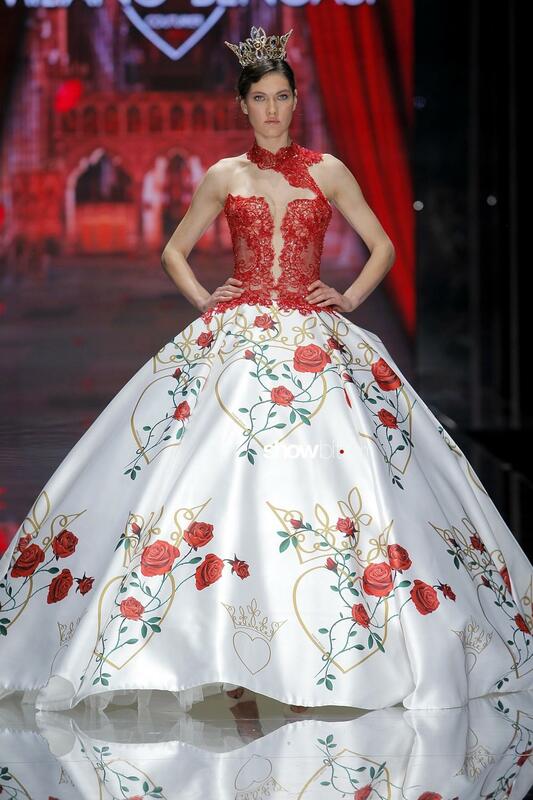 Red roses are instead printed on a mikado silk gown, rendered more vivid with a red lace bustier, adding a touch of daring passion to the traditional whites.